On a chilly spring morning, just two weeks after their fateful first meeting with the Giant Army’s General, Alazar, the Guild received a dire message: Thaldoon was under attack, with Alazar’s forces sailing north to take the city. The guild set out in force, leaving behind only a skeleton crew at Fort Stonespur, to take on their new foe and rescue the city they had saved so many times. Led by Commander Divek of the Guild, our force of heroes rushed north with all speed to intervene on behalf of the city. On their arrival, they found a massive, lumbering frost giant leading forces of indentured humans and dwarves, as well as three vast barges sailing in from the harbor. The Guild swiftly set to action, making a beeline for the guard barracks in city center. On arrival, they found that Helthra, mayor of Thaldoon, was missing, along with many of the noble politicians who lead the city. The party split off into two groups, one heading north to Hightower and Helthra’s keep while the other set about building defenses and keeping the crowds in check. At Hightower, Silas, Falcor, Jack Pinkus, Wilson, and Malifesium sought out the city’s leaders, only to find them imprisoned by their own guards and ignorant to the incoming forces. 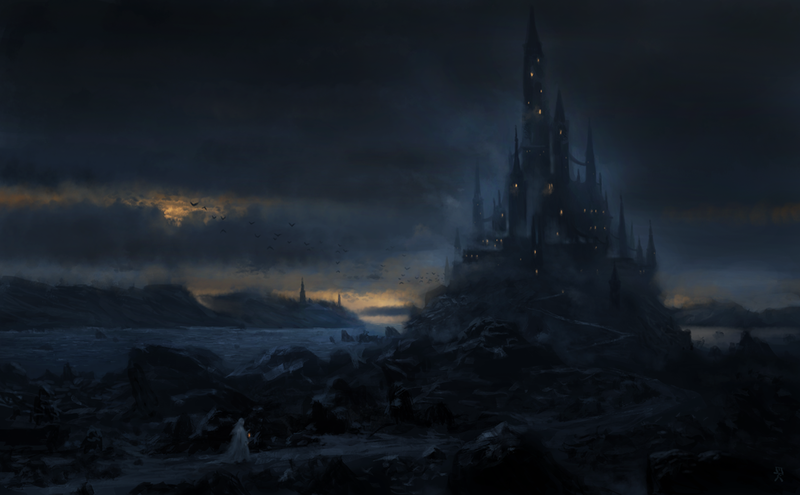 As soon as the plot was revealed, the keep was plunged into sudden darkness as some traitor among the nobility sought to keep them locked away from the city. Downtown, Aineas, Note, Coren Alta, Akida, Ymir, and Ancalagon the Black set to work preparing for the invaders and keeping the populace calm. 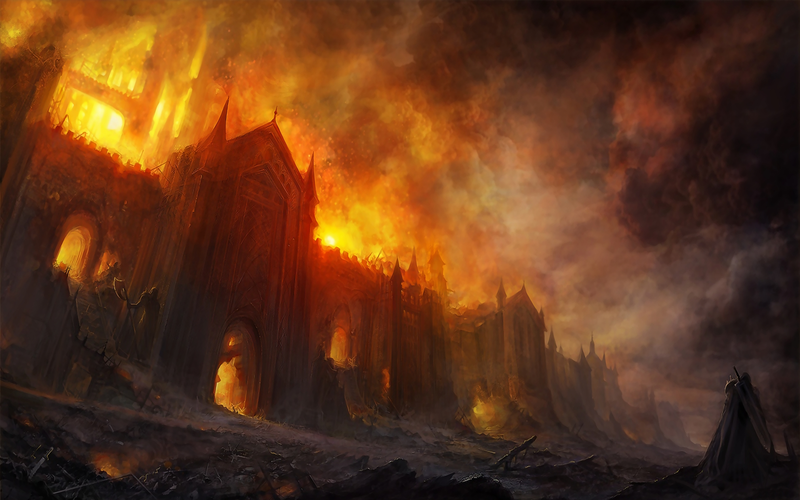 As the frost giant approached from the west, illusory fire began to spread across the peaceful farming district of Wemble outside the city, and the eastern wall at Stoneshade was assailed by tunneling soldiers attempting to collapse the fortification. Akida took command of the city forces, left without a leader by the grim and shadowed aura locking the government in the keep, as Note went down to the Agora to organize the wizards of the Mage’s College. Back in Hightower, the party went on a wild rampage through the shadowed keep, murdering a nobleman, killing a possessed servant, and burning down Helthra's library for fun. They only coincidentally managed to break the curse on the castle, but in doing so frightened and angered Helthra and her nobles so deeply that they defected to Alazar's forces as soon as the party left them. As night fell, the army began its assault in earnest, setting fire to the docks as Coren Alta and his Dwarven brigade fired cannonballs and ballista bolts out into the approaching fleet. After a long and horrific battle, the city was thoroughly sacked and Akida and Coren Alta were taken captive by the empire. The rest of the Guild escaped, escorting the people of Thaldoon to safety through the sewers. On Thursday morning, we kicked off camp talking about cities and adventures that happen in them. We discussed what makes cities special, what sorts of encounters happen in cities in the books and movies they love, and eventually had them design their own city encounters to get familiar with their options. 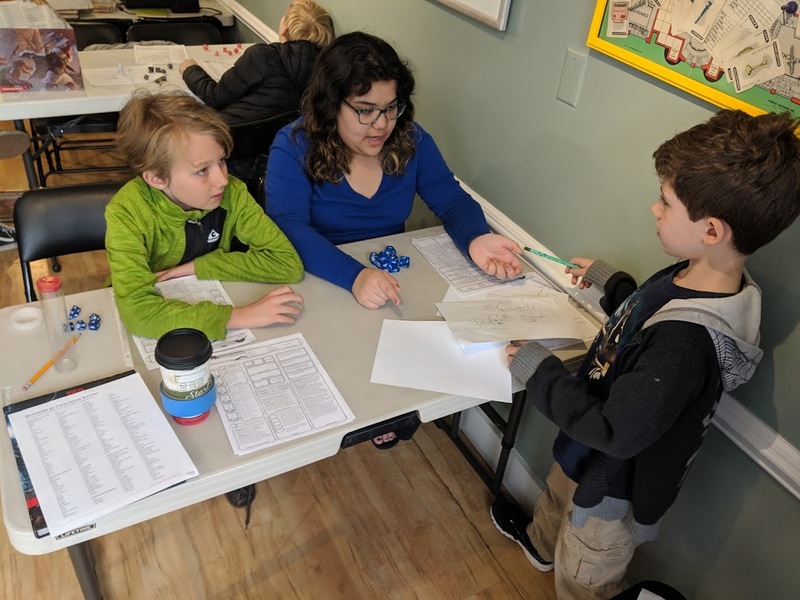 It was many of our campers' first times running games of D&D, and they had a blast! We had a handful of heists, more than one set of evil cultists, and adventures set everywhere from fantasy trains to the ruins of an ancient stronghold. On Friday morning, we took design a step further and had the campers put together their own district in a fictional city. 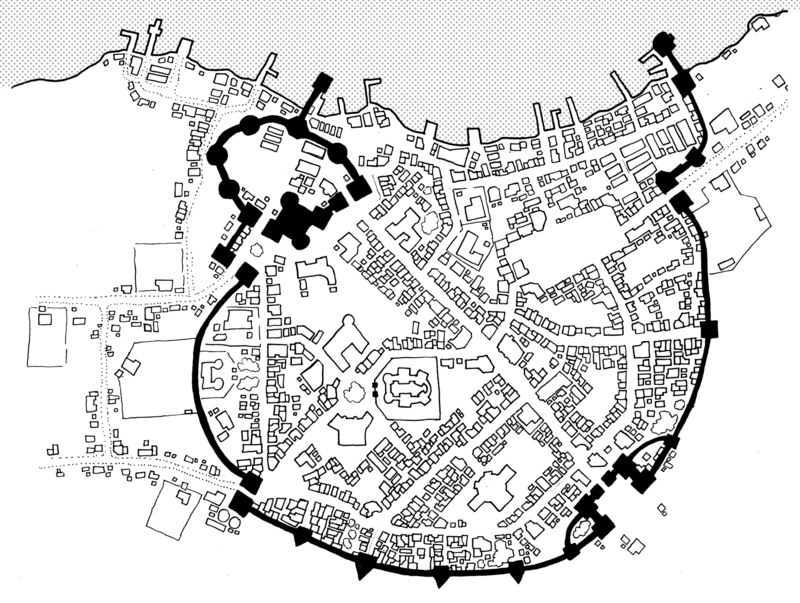 They planned marketplaces and cultist lairs, castles and town squares, and then re-ran their adventures from the day before using their new settings. 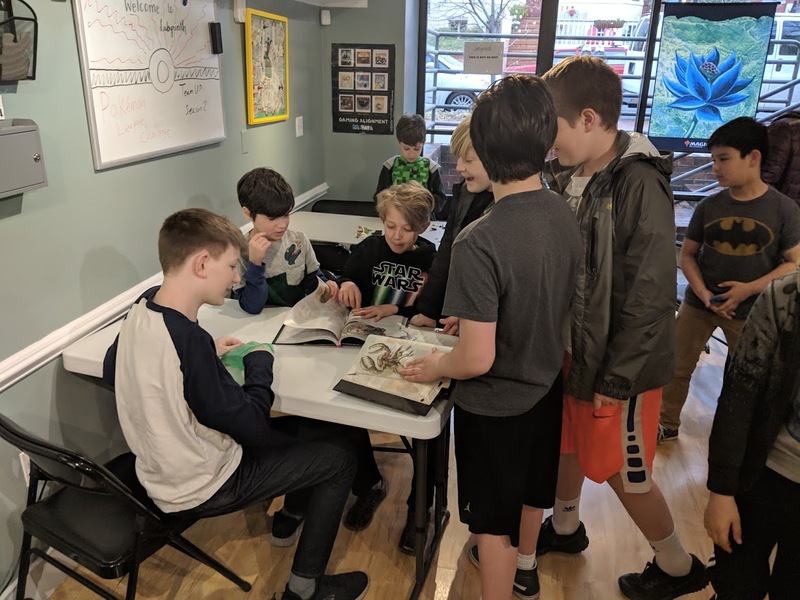 Thank you all for coming out to Guild of Heroes school break camp - maybe you can join us for the Guild's upcoming adventures! How will Alazar's reign of terror be stopped? Where will the Guild go, now that their home base at Fort Stonespur has been destroyed? Find out with us in the coming weeks and months with the Guild of Heroes! Our April events are full up already, but registration for May 12th's session will go live at the start of the April event, at 10am on April 14th. PLEASE NOTE: Due to the number of events we're running in May, our Guild of Heroes events for the month will be spread out across the month rather than the morning and afternoon of one day. Even if you don't get in on May 12th, you'll be able to sign up for the session on May 25th when the May 12th session ends!